Innovative Thinking Turns Wine Rack into Wine ROCKS! Someone built it and had it on Craigs List or Ebay. $6,000 cool, well...it depends on what the wallet's feelin' like. But, does it rock all other Mother Kluckin' wine racks...OH HELL YES! 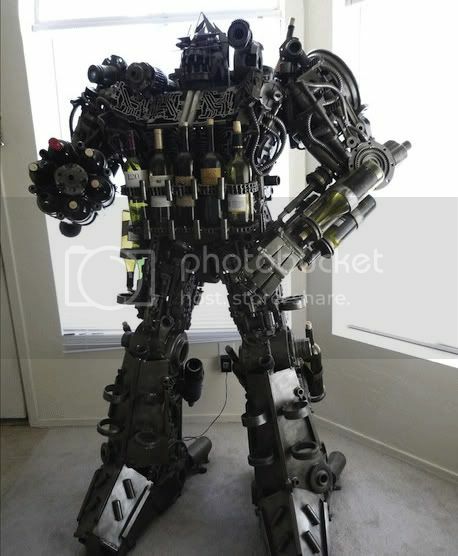 Innovative Transformer building man, we salute you! Okay, Torch out!